This is part 3 of a series on the South Africa Ministry Network. Read Part 1 here. Read Part 2 here. Scripture is full of journey stories, accountings of how God invited people to leave where they were and travel to another place that God would show them. Often the traveler would not be given many details, just an invitation to go and trust the process. 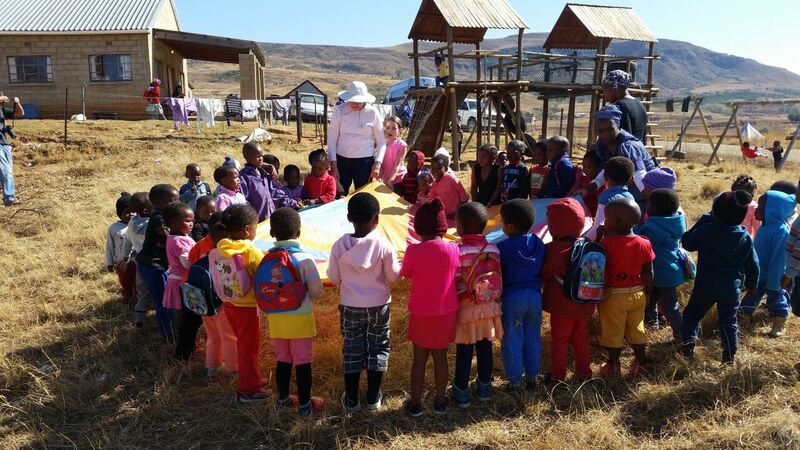 Our trip to South Africa with the CBF South Africa Ministry Network felt like such a journey, a go-and-trust opportunity. Like Abraham and Sarah, like Miriam and Moses, like Mary and Joseph, we went, long on hope, sketchy on specifics. God is at work, everywhere, all the time. We were blessed to see God as we visited rural and settlement homes with community health providers. 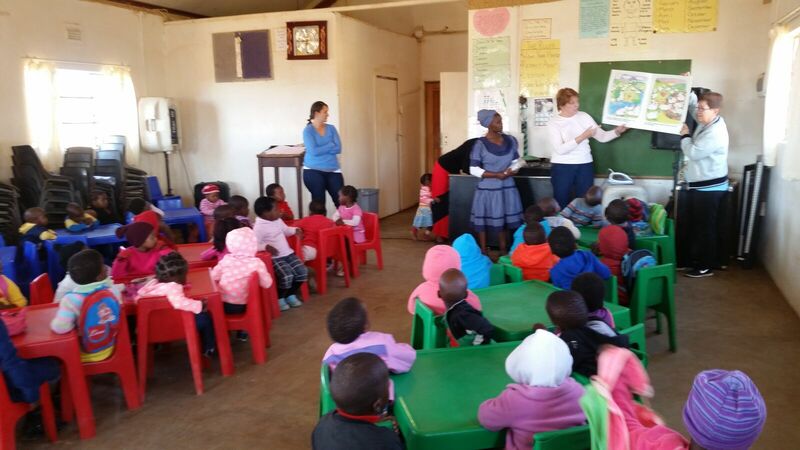 We heard God as we listened to the stories of the women who care for abused and abandoned children in Winterton. We felt God dance with us as we learned new songs and games with the children in holiday camps and preschools. We were awed by God’s creativity as we hiked in the breathtaking Drakensberg Mountains and drove slowly and quietly beside elephants and zebras and giraffes and watched the sun rise brilliantly over the Indian Ocean. God’s continuous presence. We all have so much more in common than we have differences. Toddlers love to giggle and play. School children are more curious about what’s going on outside their classroom windows than what the teacher is trying to tell them. Parents grieve when they cannot provide all that their children need. The sick long for a comforting word and a gentle touch. And when we pray together, no matter what the language, praise fills the room and we are intensely aware of God’s presence among us. Communion and community. I have an education and have opportunities to use that training every day. I have an abundance of food, running water, indoor plumbing, too many clothes to fit in my closet, a savings account and a retirement fund. I can make plans and have a reasonable hope of fulfilling those plans, for myself and for my children. I have a car, accessible healthcare and choices. So the question I came back from South Africa asking myself is this: What am I going to do with my blessings? Hoard them, greedily, fearful that they might not last a lifetime? Or lavish them on a hurting world as God’s shows me how and where? Opportunities and responsibilities. True God-led, trust-and-go journeys are never completely over during our lives. God has a way of nudging us forward toward the next adventure, great or small as it may be. May God give us all the wisdom, the curiosity, the holy sense of adventure to follow daily wherever God leads. The Rev. Betsy Andrews Kammerdiener is a hospital chaplain and member of First Baptist Church in Chattanooga, Tenn. The South Africa Ministry Network is a consortium of Cooperative Baptist Fellowship congregations launched in 2009 to work with and support CBF field personnel in the South Africa. In July, the network led a group of 70 Baptists to take part in a short-term mission experience at several mission sites. The hands-on trip culminated with the group taking part in the 21st Baptist World Congress in Durban, South Africa, the quinquennial global gathering of the Baptist World Alliance.